I can not find better words to describe this mexican project than the ones He used. Him, the Cenobita, Claus Bita, with whom nsi had the privilege to chat, via email, and which we now present in this interview. Much more could be said… but let us hear both the music and the lyrics and enter the Cyberpunk imaginarium of the new millennium which now prepares to take over the old world. nsi: How did Cenobita start and who are the elements of the band? Claus: Cenobita started in 1994 in Mexico City, my hometown. I back then started in an alternative/hard-core (punk) band, playing guitar. I met Omar (my ex partner) and we wanted to form an electronic band. 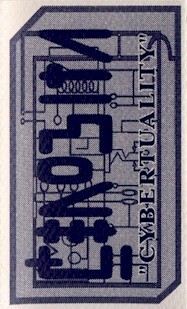 The project was born back then and we released two demo tapes: "Cybertuality" and "Visiones". 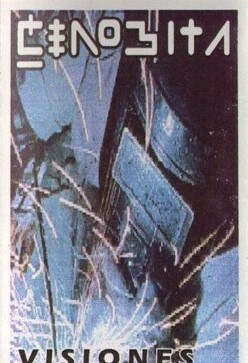 Since the beginning of the band, the main theme was cyberpunk. I felt a lot of attraction to William Gibson's view of reality, so until now cyberpunk is still influencing my lyrics. After some time working together, Omar left the band, and I took over Cenobita 100%, taking care of all vocals and becoming a one man show. nsi: It seems that you are also influenced by the movie Hellraiser? The name Cenobita and all the cyberpunk ambience of that movie too? Claus: I liked the movie (part 1 and 2 only), but actually Cenobita has nothing to do with the characters in the movie nor the story, since they are not really true images of the real meaning of cenobite. I enjoyed the ambience of the first movie, and I thought it was a different horror film. But definitively, I don’t find any similarities with the concept behind Cenobita, since it is closer to William Gibson's Neuromancer, than any other concept. nsi: Wasn't Omar the Cenobita's vocal? Now you do everything, programming and vocals. It must be hard to do the whole job during a live act, being alone on stage. Do you go on stage with all the music programmed or do you invite guest musicians to play live with you? Claus: Omar used to sing most of the songs, but I have always sang on live performances, since I sang a couple of songs in Neo Milenio. I am very satisfied about working alone. It is certainly a very hard job to do, but it is worth it. Live on stage there is somebody else helping me. 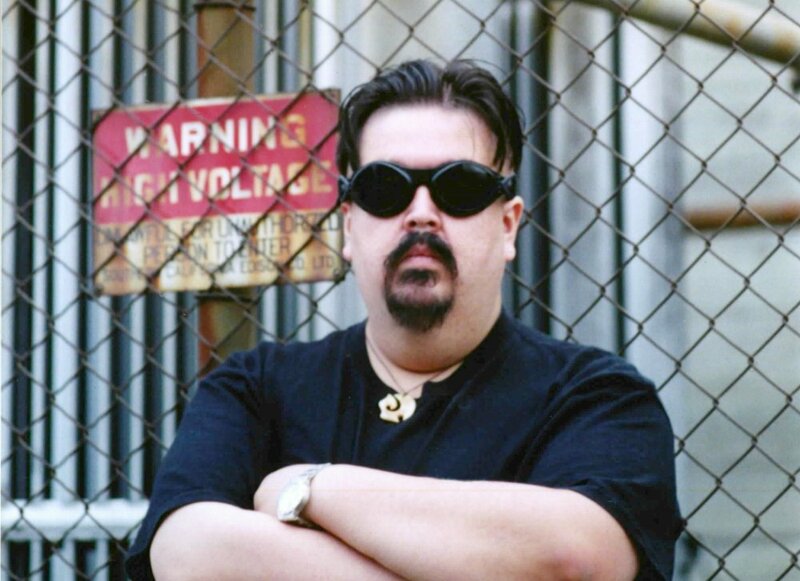 His name is Rodolfo (Oxido - ebm), and he is an old time friend also into the music industry. He had his own project and now is working with me for live shows. And also I work with another musician friend in USA, his name is Juan (Coito - power electronics) and they both help me with live keyboards. nsi: Is it easy to do the kind of music Cenobita practice, in México? 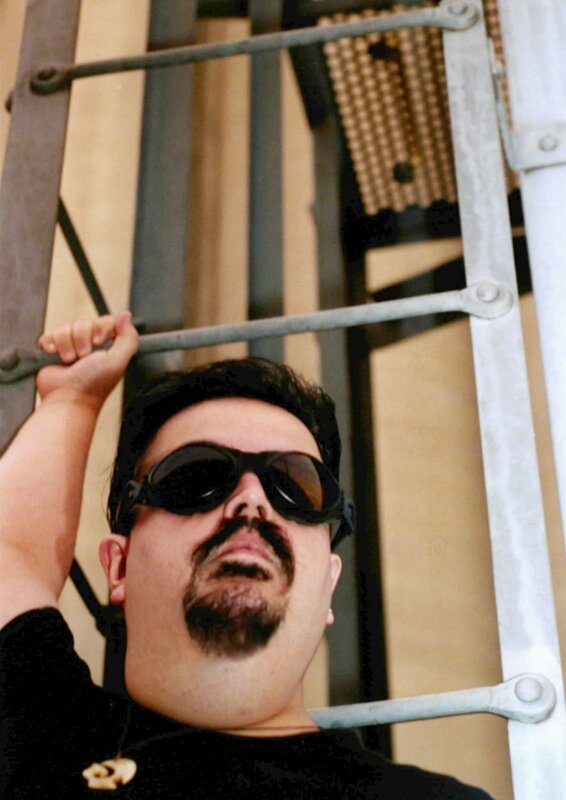 Is the mexican public receptive to electro-industrial music? nsi: In my opinion your songs can be "classified" as electro-industrial, do you agree? Claus: I guess we all love to label music. I personally would say electro-cyberpunk. Electro for the music, and cyberpunk for the lyrics. But nowadays, all this mixture of styles, it is so stupid to try to put up a new name to a hybrid. It is just electronic music....with all the different variations. 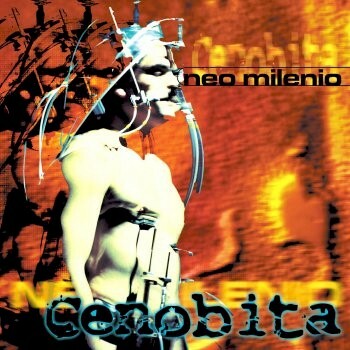 nsi: In our days most of the bands that used to do EBM or Electro-industrial are now orienting themselves to dance music, many bands are now doing synth-pop or techno and doing songs for dance floors, but Cenobita still maintained a more aggressive kind of electronic. What's your opinion about the changes that most of bands are doing? Are Cenobita tempted to do dance music too or will you continue with the kind of music you are doing? Claus: I suppose that everything goes around money. Electronic bands need to be in vogue, need to be updated in sounds and technology and blah, blah, blah. Today's electronic musicians are more interested in having a club hit, than having a good time themselves. I write what I want, what I feel like, and I think that my sons (...or my songs) were never thought for a club smasher. They were just conceived and felt as an expression of feelings. Basically I do what comes out in that particular moment. It is ok synthpop or techno or dance or industrial or metal or gothic or whatever. You have to do whatever you want. I enjoy a lot psytrance and goa, so I like techno sounds. I do not listen to a lot of ebm bands lately, since I think today's bands sound to similar between each other. One thing I gotta tell you, and that is even Cenobita's sound will change for the upcoming release. nsi: I know that you are going to play live here in Europe, is it the first time you'll come to the old continent? Is it easy for a band from Mexico to spread its sound through the rest of the world? Claus: Yes it is my first time playing in Europe. I will be playing at WGT 2002 in Leipzig, and working in some other shows in Holland, Denmark, England and Spain, around those dates, but nothing confirmed yet. And no, it is not really that easy to spread the word around. Cenobita is a new band in Europe, but I have been around for a couple of years. Nothing is easy, but lately things have been happening in a better, smoother way for my project. There is little knowledge of mexican electronic music in the world, after all the only things shown to people from Mexico on TV are serious economic problems and social disturbance. I am not to "conquer" the world with my sound or my songs, I am just showing what I see is going on, and if someone pays attention on the way, I will feel lucky. nsi: What can we expect from a Cenobita's concert? I imagine a dark scenario with lots of chains on stage, with oil on the stage floor and a Cenobite, dressed in black leather, singing. Can you describe us the visual part of the concerts? Claus: Well I would love to do that in Europe, but things are not that easy to do over there, since the budget does not allow a special scenario. On the past we used to do that, used a lot of chains, and utility stuff, but now it is hard to travel with all this, without the money to support that. Forget the oil on stage!!!!! Too slippery to perform, ha, ha, ha.... and the leather outfit.. I really don’t think so either, it is not my style!!! I am not sure what I will show to European crowds, lets all wait and see. nsi: The United States are now receptive to the electro music done in Europe, I think it's a new thing, I have the idea that the U.S. are more rock oriented. Is your music well received in the U.S. too? Claus: Well rock music will always be a part of the american way of life!! But lately I think american electronic acts are coming out strong, since they have turned to a more "electronic" style. I personally was more involved with guitars on the early years, it helped to break a barrier with people not digging electronics, and I quit the instrument, because I just got tired of the sound. Newer bands from USA, have a stronger sound, and I think they are the next big thing. Bands as Assemblage 23, God Module, Negative Format, Lost Signal, are new talents that need to take over electronic music, since they offer a "different" sound, and it is not rock oriented anymore. Not to say all the great noise and power electronics acts coming from there as well. As for Cenobita's music, it is well accepted by those who know the band. It is still a new band there, I have played there few times. The only place that it is well known is in Los Angeles (I have played there for 3 times), but in a way it is like playing in Mexico, since almost all the people attending the shows are mexicans!!! nsi: Your first songs had spanish lyrics, am I correct? And now I heard Cenobita singing in english. Why did you adopt the english language? Claus: No you are not correct... well, in a way you are. On the first two demos, it was all spanish. But with the first album, I thought of putting out some songs in english, since it is my second language. I used to live in USA for some time, long time ago, and I felt that with a CD being distributed worldwide, it would be necessary to use english lyrics to let people know about the songs. Lyrics are important for Cenobita, so the more people understand what I am talking about, the better. The only thing is that my songs are not written in a typical way, since they have a cyberpunk approach, so you might end up listening to a love song with very wicked lyrics, or a terrorism track, with peaceful rhythms. My lyrics are to be understood as you may, they have a background, but that is for anyone to discover. Feel free to make an image in your mind, make it yours and understand the song as you wish. nsi: You’ve recorded your last album in 1999, when will you release a new CD? Claus: I am in studio right now, and hopefully it will come out in April. A new album, a new sound, a new image. Everything is new in this album. Songs will be in english and spanish again, and it will move towards different directions. I do not like to be caged on a single electro or whatever style. It will have a more danceable scenery than Neo Milenio, with different kind of vocals, and it will definitely be a more personal release than any other of Cenobita. I took my time (I know… a lot!!!) because I had a lot of personal problems, but I think it helped me maturing the sound of this new project, and for me the wait has been worthwhile. nsi: It's good to have time to work on a new release and do the music you like, but the labels generally make some pressure on the bands. I think there are labels that try to change the artists sound so that it will be easily sold. You are still working with Opción Sónica? Do you still have freedom to do only what you want and when you want it? nsi: Can you tell us a little more about the new release? What will the name be? You say that there will be many changes, but can we expect the powerful cyberpunk Cenobita usually makes? Claus: The new album is intitled "Metamorfosis", and it shows the changes around Cenobita from the title. The lyrics will run around the same cyberpunk-social issues, things that amaze me about human behaviour, and today circumstances. It is a far out more personal album than Neo Milenio, and it will have a different sound, since I basically use new equipment for the music. I find the new Cenobita style more danceable than the previous, and I think it is more technological, but I don’t think it is in the same vein as all this electro acts from Europe. I have been listening to a lot of psytrance and power electronics, and I think it has influenced me, but I’m not saying that I am doing any of those, I think the music is just Cenobita. nsi: Are you going on a tour to promote the new release? The shows you say will possibly happen in Europe will be part of a tour or only isolated concerts? Claus: The Wave Gotik Treffen invited me, because of Neo Milenio, but I will be playing for the first time in Europe, and the new album will be around then, so I will play basically songs from the two releases, but not exactly promoting the new album. I think I will be promoting Cenobita only. It is not really part of a tour, I am working for a couple of shows, and if they materialise as I plan, I will have some sort of a tour as you mentioned. I will let you know, when I have the info available. nsi: What are your projects for the future? nsi: I didn't know that you also do remixes for other bands. How does it feel to give a personal touch and feeling in songs created by others? Claus: It is very good, I am not giving a lot of time to remixing right now, since I have to finish my own stuff first, but it is a good chance to make other people stuff, sound like yours!!! !, it is cool indeed. I hope to be doing some other remixing work in the near future. So far I don’t have anybody else remixing my stuff, but soon there will be some announcements.....as soon as the album is finished!!! nsi: And other bands remixing Cenobita's songs? Will the new release have remixed tracks? nsi: I'm curious and tempted to ask you more about the french movie soundtrack. But I know it's still a secret! But you can tell us if you are doing all the music for the movie or if you are only collaborating with some songs along with other artists? Claus: I will be doing a couple of songs, as Cenobita. There will be other music, but basically it will be mainly three artists, Cenobita and two others. The songs are original soundtrack, so it will not be available anywhere else but the movie. nsi: You are moving to Australia to live there or is it just a temporary thing? Is this moving related with Cenobita? Claus: Not really, that is just like a wish.....but hopefully I will be able to make it true in a couple of years to come. It has got nothing to do with Cenobita, it is just personal preference. nsi: Are you planning to play live in Portugal? Claus: It would be very cool to play in Portugal, but I don’t know if there is chance to do something over there. I do not know the portuguese electro scene very much, but it will definitively be cool, since the language is not that much of a problem....at least it is easier than german or swedish or so!!! Maybe not this time, but I´ll see what I can work out. nsi: Do you have any message to your fans who will read this interview? Claus: Thanks for reading all the way to the end, and I hope to see you all in May, and say hello to you personally, either in Leipzig or maybe if the concerts in Spain comes true, it will be a good idea to meet you over there, since it is closer to Portugal. The world is changing every minute, so keep your eyes open, you might witness the evolution of mankind. Be safe.....and buy the new album!!! !